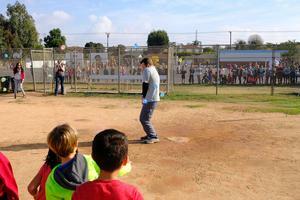 We celebrated the Healthy Heart Challenge with an amazing day of fitness and fun. 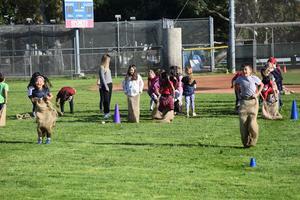 Students participated in jump rope, cart races, sack races, dancing, obstacle courses, and more. We raised over $20,000 for the American Heart Association and practiced staying fit in the process. Thank you to teachers and parent volunteers for making this special day happen. Dr. Seuss Night is a fun night of games, crafts, prizes, food, and most importantly, literacy! 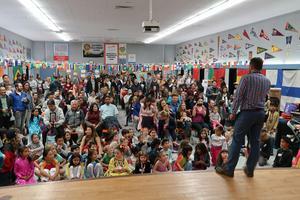 Our PTA puts together a magical night celebrating the infamous author and a love of reading. Special thanks to Robin Garfield, Jennifer Stenta, Kimberly Weiss, Jennifer Tan, Amy Mourad, Kelli Kampanis, and Cindy Nguyen for making it a special night. 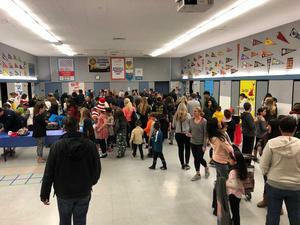 International Night was a total success where families prepared and shared cuisine, classrooms presented projects on countries, students participated in cultural activities, and student performers showed off their culture in a talent show. It was a wonderful night thanks to the collective effort of the community. 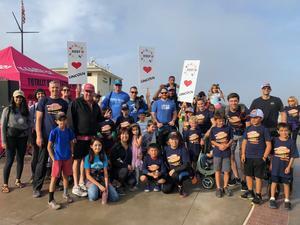 Mr. J suffered two fatal challenges because Lincoln successfully achieved 375 Walkers at Pier-to-Pier and reached 100% PTA Membership. In November, he braved the rollerblade challenge and survived the entire day on rollerblades with absolutely no clue how to do so. And in December, every student and staff member threw a water balloon at that poor soul in celebration of 100% PTA membership two years running! Well-done, Lincoln! 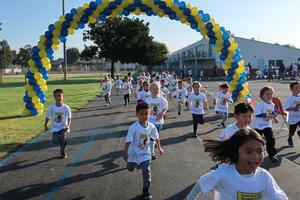 Lincoln Elementary met its goal of 375 Walkers by registering over 400 walkers for Pier-to-Pier fundraiser. That is the second year of making our goal! This also marks the 3rd fundraiser goal met for the school year: RBEF, Pier-to-Pier, and PTA Membership. Nice job, Lincoln...we are moving fast! 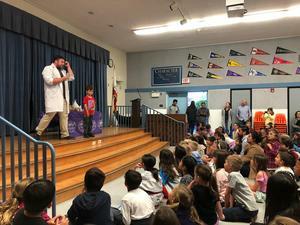 The Pier-to-Pier funds will be utilized for staff development (Eureka training), academic intervention (Leveled Literacy Intervention), and modernization (playground upgrades...including GaGa Ball). We plan to put these dollars directly into the classroom to improve our student achievement. Thank you community! Battle of the Books is a reading program for students in the 3rd through 5th grades. Students read books from the assigned reading list and come together in teams to test their knowledge of the books they have read. The student competitions are game based and help promote critical thinking, sportsmanship and teamwork. Registration for Battle of the Books is available to all students in the 3rd through 5th grades. 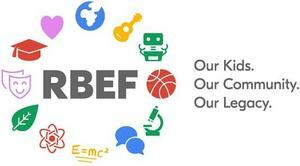 Winners of the fourth/5th grade competition will go on to compete at the district level.